Ricky Morton was helped into the business by his father, longtime referee Paul Morton. 1979: Ricky Morton made his professional wrestling debut. 1983: Jerry Lawler put Ricky Morton and Robert Gibson together in Memphis as a tag team called the RockNRoll Express. The Fabulous Ones were the hugely popular team at the time, and he created the RandR as a “b-version”. April 7, 1984 – Superdome: The Rock’N’Roll Express defeated Nikolai Volkoff and The Russian Invader (Jerry Novak). June 16, 1984 – Superdome: The Midnight Express beat The Rock’N’Roll Express in a “No DQ” match to retain the Tag titles. November 22, 1984 – Superdome: The RNR Express beat The Midnight Express in a Scaffold match to retain the Tag Team titles. March 30, 1985 – Superdome: The RNR Express defeated The Road Warriors and Dirty White Boys and The Freebirds in a 4-WAY. June 1, 1985 – Superdome: Steve Williams and Ted DiBiase defeated The Rock’N’Roll Express to retain the Tag Team titles. November 28, 1985 – Starrcade: The Rock’N’Roll Express beat Ivan and Nikita Koloff in a Cage to win the Tag Team titles. June 13, 1987 – UWF Superdome: The RNR Express beat The Angel of Death and Vladimir Petrov to retain the NWA Tag Team titles. April 16, 1988 – AWA Rage in a Cage II: The Rock’N’Roll Express vs The Nasty Boys ended in a Double Disqualification. December 13, 1988 – AWA SuperClash 3: The Rock’N’Roll Express vs Jimmy Golden and Robert Fuller ended in a Double Count Out. April 19, 1986 – Crockett Cup: The Sheepherders defeated The Rock’N’Roll Express. July 5, 1986 – Great American Bash: Ric Flair beat Ricky Morton in a Steel Cage match to retain the World Heavyweight title. July 26, 1986 – Great American Bash: The Rock’N’Roll Express vs Ole and Arn Anderson ended in a draw. April 10-11, 1987 – Crockett Cup: The Rock’N’Roll Express received a bye to the quarter-finals. ~~~Giant Baba and Isao Takagi defeated The Rock’N’Roll Express by forfeit in the Quarter-Finals. July 4, 1987 – Great American Bash: The Rock’N’Roll Express defeated The Midnight Express by DQ to retain the Tag titles. November 26, 1987 – Starrcade: The Rock’N’Roll Express defeated The Midnight Express in a Scaffold Match. September 7, 1988 – NWA Clash: Ricky Morton defeated Ivan Koloff in a Russian Chain Match. May 19, 1990 – Capitol Combat: The Rock’N’Roll Express defeated The Freebirds. June 13, 1990 – NWA Clash: The RNR Express defeated The Midnight Express by DQ to retain the US Tag Team titles. July 7, 1990 – Great American Bash: Doom defeated The Rock’N’Roll Express to retain the Tag Team titles. October 27, 1990 – Halloween Havoc: Tommy Rich and Ricky Morton defeated The Midnight Express (Eaton and Lane w/Jim Cornette). ~~~~Tommy Rich replaced Robert Gibson, who was at home with an injured knee, courtosy of The Freebirds. January 30, 1991 – The Clash: Terry Taylor defeated Ricky Morton. May 19, 1991 – SuperBrawl: Dan Spivey defeated Ricky Morton. July 14, 1991 – Great American Bash: Ricky Morton defeated Robert Gibson. September 5, 1991 – The Clash: Ricky Morton defeated Mike Graham in a Light Heavyweight Semi-final match. October 27, 1991 – Halloween Havoc: Brian Pillman defeated Richard Morton to win the Light Heavyweight title! December 29, 1991 – Starrcade: Richard Morton and Dustin Rhodes defeated Larry Zbyszko and El Gigante (Lethal Lottery). January 21, 1992 – The Clash: Johnny B Badd defeated Richard Morton. February 29, 1992 – SuperBrawl: Van Hammer and Tom Zenk defeated Vinnie Vegas and Ricky Morton. August 5, 1992 – SMW: The Rock’N’Roll Express defeated Robert Fuller and Jimmy Golden. August 6, 1992 – SMW: The Rock’N’Roll Express defeated Robert Fuller and Jimmy Golden. August 7, 1992 – SMW: The Rock’N’Roll Express defeated The Heavenly Bodies. August 8, 1992 – Fire on the Mountain: The Rock’N’Roll Express defeated Robert Fuller and Jimmy Golden. August 9, 1992 – SMW: The Rock’N’Roll Express defeated Robert Fuller and Jimmy Golden by DQ. August 12, 1992 – SMW: The Rock’N’Roll Express defeated Robert Fuller and Jimmy Golden. August 19, 1992 – SMW: The Rock’N’Roll Express defeated Robert Fuller and Jimmy Golden in a Stretcher match. August 21, 1992 – SMW: The Rock’N’Roll Express defeated Robert Fuller and Jimmy Golden. August 22, 1992 – SMW: The Rock’N’Roll Express defeated Robert Fuller and Jimmy Golden. August 27, 1992 – SMW: The Rock’N’Roll Express defeated Mike Sampson and Robbie Eagle. September 4, 1992 – SMW: The Rock’N’Roll Express defeated Robert Fuller and Jimmy Golden. October 2, 1992 – SMW: The Rock’N’Roll Express defeated Robert Fuller and Jimmy Golden in a Stretcher match. October 8, 1992 – SMW: The Rock’N’Roll Express defeated The Heavenly Bodies (Stan Lane and Tom Prichard). October 9, 1992 – SMW: The Rock’N’Roll Express The Heavenly Bodies (Stan Lane and Tom Prichard) by DQ. October 17, 1992 – SMW: The Heavenly Bodies defeated The Rock’N’Roll Express. October 24, 1992 – SMW: The Rock’N’Roll Express defeated The Heavenly Bodies (Stan Lane and Tom Prichard). November 6, 1992 – SMW: The Rock’N’Roll Express defeated The Heavenly Bodies (Stan Lane and Tom Prichard) by DQ. November 7, 1992 – SMW: The Heavenly Bodies defeated The Rock’N’Roll Express. November 8, 1992 – SMW: The Heavenly Bodies defeated The Rock’N’Roll Express. November 13, 1992 – SMW: The RNR Express defeated The Heavenly Bodies in a Hospital Elimination match to win the Tag Team titles! November 14, 1992 – SMW: The Rock’N’Roll Express defeated The Heavenly Bodies in a Hospital Elimination match. November 20, 1992 – SMW: The Rock’N’Roll Express defeated The Heavenly Bodies. November 21, 1992 – SMW: The Rock’N’Roll Express defeated The Heavenly Bodies. November 23, 1992 – SMW: The Rock’N’Roll Express defeated Paul Lee and Dark Secret. November 26, 1992 – SMW: The Heavenly Bodies beat The RNR Express in a Falls Count Anywhere match to win the Tag Team titles! November 27, 1992 – SMW: The RNR Express defeated The Heavenly Bodies in a Texas Death match to recapture the Tag Team titles! November 28, 1992 – SMW: The Heavenly Bodies defeated The RNR Express in a Street Fight match to reclaim the Tag Team titles! November 29, 1992 – SMW: The RNR Express defeated The Heavenly Bodies in a Barbed Wire Cage to win back the Tag Team titles! December 4, 1992 – SMW: The Heavenly Bodies and Jim Cornette defeated The Rock’N’Roll Express and Tim Horner. December 5, 1992 – SMW: The Rock’N’Roll Express and Brian Matthews defeated The Heavenly Bodies and Jim Cornette. December 25, 1992 – SMW: The Rock’N’Roll Express defeated The Heavenly Bodies and Jim Cornette in a Handicap match. December 26, 1992 – SMW: The Rock’N’Roll Express defeated The Heavenly Bodies and Jim Cornette in a Handicap match. December 27, 1992 – SMW: The Rock’N’Roll Express defeated The Heavenly Bodies and Jim Cornette in a Handicap match. February 21, 1993 – WCW Superbrawl: The Rock’N’Roll Express defeated The Heavenly Bodies (Prichard and Del Ray). April 2, 1993 – Bluegrass Brawl I: The Heavenly Bodies beat The RNR Express and Team Mantell in a 3-WAY Street Fight. ~~~~The Heavenly Bodies (Bobby Eaton and Stan Lane and Tom Pritchard). ~~~~The Rock’N’Roll Express (Ricky Morton and Robert Gibson and Arn Anderson). ~~~~Team Mantell (Dutch Mantell and Jimmy Golden and Robert Fuller). May 9, 1993 – Volunteer Slam II: The Rock’N’Roll Express Team defeated The Midnight Express Team in a Rage in the Cage. ~~~~The Rock’N’Roll Express Team: Ricky Morton and Robert Gibson and Robert Fuller and Jimmy Golden and Brian Lee. ~~~~The Heavenly Bodies Team: Tom Pritchard and Stan Lane and Killer Kyle and Kevin Sullivan and Tazmaniac. May 15, 1993 – The RNR Express defeated The Heavenly Bodies in a “Loser Leaves SMW” match to win the Tag Team titles. August 1993 – The Bruise Brothers beat The RNR Express and Scott and Steve Armstrong and The Heavenly Bodies in a 3-WAY. November 24, 1993 – Survivor Series: The Heavenly Bodies defeated The RNR Express to win the SMW Tag Team titles! November 26, 1993 – Thanksgiving Thunder: The Rock’N’Roll Express vs The Moondogs ended in a no contest. February 13, 1994 – Sunday Bloody Sunday: The Rock’N’Roll Express defeated The Heavenly Bodies by DQ (Bodies retain). March 10, 1994 – Marietta Debut: The Rock’N’Roll Express defeated The Heavenly Bodies by DQ (Bodies retain). April 1, 1994 – The RNR Express beat The Heavenly Bodies in a “Loser Leaves Town Cage” match to win the Tag Team titles! May 20, 1994 – Brian Lee and Chris Candido defeated The Rock’N’Roll Express to retain the Tag Team titles. August 5, 1994 – Night of Legends: The Rock’N’Roll Express defeated Chris Candido and Brian Lee to win the Tag Team titles! August 14, 1994 – Brian Lee and Chris Candido w/Tammy Sytch defeated The Rock’N’Roll Express to win the Tag Team titles! November 24, 1994 – Thanksgiving Thunder: The Gangstas (New Jack and Mustpaha) beat The RNR Express in a “Street Fight”. February 26, 1995 – The Rock’N’Roll Express defeated Al Snow and Unibomb by DQ to retain the Tag Team titles. April 7, 1995 – Al Snow and Unibomb beat The RNR Express in a “Coal Miner’s Glove on a Pole” match to win the Tag Team titles! May 19, 1995 – Volunteer Slam IV: Ricky Morton beat Al Snow (Scaffold) | Robert Gibson beat Unibomb (Falls Count Anywhere). August 12, 1995 – Robert Gibson defeated The Headbangers (Mosh and Thrasher) in a “Handicap” match. November 23, 1995 – Robert Gibson and The Heavenly Bodies defeated Ricky Morton and Tracy Smothers and Dirty White Boy by DQ. June 3, 1996 – WCW Monday NITRO: Ric Flair and Arn Anderson defeated The Rock’N’Roll Express. June 24, 1996 – WCW Monday NITRO: Chris Benoit and Arn Anderson defeated The RockNRoll Express. July 1, 1996 – WCW Monday NITRO: The Four Horsemen defeated Joe Gomez and The Renegade and The Rock’N’Roll Express..
August 5, 1996 – WCW Monday NITRO: Harlem Heat defeated The Rock’N’Roll Express to retain the Tag Team titles. August 26, 1996 – WCW Monday NITRO: Ric Flair and Arn Anderson defeated The Rock’N’Roll Express. September 30, 1996 – WCW Monday NITRO: The Faces of Fear (Meng and Barbarian) defeated The Rock’N’Roll Express. January 12, 1998 – RAW: The Disciples of Apocalypse beat The Rock’N’Roll Express (NWA Tag Champions) by DQ. February 23, 1998 – RAW: The Headbangers defeated The Rock’N’Roll Express to win the NWA Tag Team titles. March 2, 1998 – RAW: The Headbangers and Taka Michinuko defeated The Rock’N’Roll Express and Barry Windham. March 17, 1998 – RAW: The Headbangers defeated The Rock’N’Roll Express and Jim Cornette to retain the NWA Tag Team titles. March 29, 1998 – Wrestlemania 14: The Rock’N’Roll Express participated in a 15-Team Battle Royal (Won by LOD 2000). April 26, 1998 – Unforgiven: The NEW Midnight Express w/Jim Cornette defeated The Rock’N’Roll Express. January 25, 2003 – Live Action Wrestling: Ricky Morton defeated The Russian Assassin! January 29, 2003 – TNA: The Rock’N’Roll Express made a surprise appearance in TNA turning heel on Chris Harris and James Storm! ~~~The Rock’N’Roll Express defeated Chris Harris and James Storm later in the night with help from Elix Skipper. February 12, 2003 – TNA: Chris Harris and James Storm beat The RNR Express in the 1st round of a #1 Contenders Tournament. March 1, 2003 – North American Championship Wrestling: Buff Bagwell/Morton b Scott Powers/Christopher Steel to win tag titles. ~~~Right after the match, Buff Bagwell and Ricky Morton defeated Jimmy Cicero and Perry James (managers) by DQ. July 30, 2003 – TNA: Kid Kash defeated Ricky Morton in a “Teacher vs Student” match. November 29, 2003 – Memphis Wrestling: RnR Express won a “Consession Stand Brawl” that included the passing of Moondog Spot. February 14, 2004 – Universal Championship Wrestling: Ricky Morton defeated The Barbarian. May 15, 2004 – Exodus Wrestling Alliance in Hartwell, GA: Bambi and Ricky Morton defeated Peggy Lee Leather and George South Sr.
July 17, 2004 – Iron Ring Wrestling: CC Ryder and Larry Zbyszko defeated Ricky Morton and Tim Horner. August 21, 2004 – WXO TV Taping: Ricky Morton defeated Jamal by Disqualficiation. August 26, 2004 – Exodus Wrestling Alliance: Ricky Morton defeated George South Sr.
September 2, 2004 – Exodus Wrestling Alliance: George South Sr. beat Ricky Morton with the help from Lodi to win EWA title. September 9, 2004 – Bluegrass Championship Wrestling: John Noble defeated Ricky Morton. September 10, 2004 – All Pro Wrestling (Tennessee): Stan Lee and Mike Hanson beat Ricky Morton and Chris Hamrick. September 18, 2004 – Championship Wrestling: Ricky Morton and Alyx Winters beat Chris Gilbert and Clarence Clippenback. September 22, 2004 – Championship Wrestling: Ricky Morton and Eric Darkstorm beat Bobby Eaton and Danny Ray. September 23, 2004 – Championship Wrestling: Ricky Morton defeated Bobby Eaton in a Steel Cage match. September 24, 2004 – Championship Wrestling: Ricky Morton and Eric Darkstorm beat Bobby Eaton and Shane Matthews. October 8, 2004 – NWA Bluegrass: Ricky Morton defeated Tully Blanchard. October 12, 2004 – Mountain State Wrestling: The War Machine defeated Ricky Morton. October 23, 2004 – Rice Pro Wrestling: Brutus Beefcake and Greg Valentine vs Ricky Morton and Robert Gibson ended in a DOUBLE CO.
~~~~Dennis Condrey and Bobby Eaton beat Ricky Morton and Robert Gibson in a 2/3 falls match with Ricky Steamboat as referee. November 15, 2004 – UCW: Ricky Morton defeated Sonny Landel. December 9, 2004 – Exodus Wrestling: Ricky Morton defeated George South Sr.
January 13, 2005 – UWA: Ricky Morton/Shane Williams/Thunder Valley Express b Terry Wright/Jim Miller/Mike Ogle/Alex Hutton. January 14, 2005 – Wrestlers of West Virginia: Ricky Morton defeated Eric Darkstorm – – – During the match, a young girl (7-9 years old) went into a terrible seizure and stopped breathing. Morton left the ring and got someone to call 911. Wrestler Danny Ray, who is an EMT, along with Robbie Cassidy, gave the girl CPR until she started breathing again. She had a second seizure before the ambulance arrived. She had a third seizure on the ambulance going to the hospital. She was apparently okay and undergoing tests. The show was stopped at that point. Promoter John Cooper, after everything was taken care of, asked the crowd if they should continue. They wanted a show and they did finish the show after a 30-45 minute break. January 16, 2005 – NWA Spinebuster: Adam Windsor and Funky White Boy (w/Missy Hyatt) beat The RockNRoll Express. January 18, 2005 – Big Orange Pro Wrestling: Ricky Morton and Buford T. Jones beat Terry Wright and Karma. January 20, 2005 – United Wrestling Association: Boss defeated Ricky Morton when Tom Prichard interfered. February 3, 2005 – United Wrestling Association: Dr. Tom Prichard beat Ricky Morton to retain the Texas Heavyweight title. February 12, 2005 – Carolina Championship Wrestling: Ricky Morton and Robert Gibson beat Mr. Hughes and The Barbarian by DQ. February 18, 2005 – Southern States Wrestling: Ricky Morton defeated Tom Prichard by Disqualification. February 19, 2005 – Exodus Wrestling: Ricky Morton defeated Terry Taylor. February 24, 2005 – United Wrestling Association: Ricky Morton and Brad Thomas beat Dr. Tom Prichard and Tony Prichard. March 3, 2005 – C-Pro Entertainment Wrestling: Ricky Morton defeated Beau James. March 4, 2005 – Southern States Wrestling: Ricky Morton and Brad Thomas defeated McKeever and Tom Prichard. March 17, 2005 – United Wrestling Association: Ricky Morton defeated Dr. Tom Prichard to win the Texas Heavyweight title. March 19, 2005 – Southern States Wrestling: Super Destroyer defeated Ricky Morton with help from Tom Prichard. March 24, 2005 – United Wrestling Association: Tony Prichard and Mr. Texas (Tom Prichard) beat Ricky Morton and Brad Thomas. March 25, 2005 – Southern States Wrestling: Ricky Morton beat Dr. Tom Prichard to win Texas Heavyweight title. March 26, 2005 – Southern Wrestling Alliance: Bobby Eaton vs Ricky Morton ended in a no contest. March 31, 2005 – United Wrestling Association: Tony Prichard defeated Ricky Morton to win the Texas Heavyweight Title. April 5, 2005 – Moutain State Wrestling: Ricky Morton defeated Scotty McKeever. April 6, 2005 – Powerslam Pro Wrestling: Ricky Morton defeated Bobby Eaton. April 7, 2005 – Powerslam Pro Wrestling: Bobby Eaton defeated Ricky Morton. April 14, 2005 – UWA: Tom and Tony Prichard beat Mike Ogle and Shane Williams and Ricky Morton and Brad Thomas in a 3-WAY. April 16, 2005 – GCW Television Title Tournament: Chase Stevens defeated Ricky Morton in the first round of the Tournament. April 26, 2005 – Mountain State Wrestling: Ricky Morton defeated Dr. Tom Prichard. May 3, 2005 – Mountain State Wrestling: Ricky Morton defeated “Beautiful” Bobby Eaton. May 6, 2005 – Exodus Wrestling: Ricky Morton defeated George South Sr.
May 12, 2005 – United Wrestling Association: Boss defeated Ricky Morton. May 21, 2005 – NWA Mid Atlantic: Ricky Morton defeated Andru Bane. May 27, 2005 – Exodus Wrestling Alliance: Ricky Morton defeated George South Sr.
June 11, 2005 – NWA Wrestle Birmingham: Ricky Morton and Brad Armstrong defeated Elix Skipper and River D’Angelo. June 18, 2005 – NWA Mid Atlantic: George Hines (Bobby Fulton’s brother) defeated Ricky Morton. July 9, 2005 – Georgia Championship Wrestling: Ricky Morton defeated “Beautiful” Bobby Eaton. July 17, 2005 – Iron Ring Wrestling: Ricky Morton and Brad Thomas defeated K.C. Thunder and Tom Prichard. July 30, 2005 – Carolina Wrestling Association: Ricky Morton beat George South Jr. to win CWA title with Jimmy Valiant as referee. ~~~Immediately following the match, Ricky Morton was challenged by, and lost the CWA championship to Jason Jones. August 13, 2005 – Carolina Championship Wrestling: C.W. Anderson defeated Ricky Morton. August 16, 2005 – Mason Dixon Wrestling: Ricky Morton and Brad Thomas defeated Punchy McGee and Bobby Eaton. August 28, 2005 – UCW: Ricky Morton defeated George South. September 15, 2005 – Championship Wrestling: Beau James and KC Thunder defeated Ricky Morton and Brad Thomas. September 16, 2005 – Championship: Wayne Adkins and Ricky Morton beat Beau James and Danny Ray (Sub KC) to win the Tag titles! September 27, 2005 – Big Time Wrestling: “RockNRoll” Ricky Morton defeated “Beautiful” Bobby Eaton. October 6, 2005 – Powerslam Wrestling: Ricky Morton defeated Scotty McKeever. October 8, 2005 – Carolina Championship Wrestling: Bobby Eaton defeated Ricky Morton with Jimmy Valiant as referee. February 2, 2006 – UWA – Ricky Morton Benefit Show: $2475.00 was raised for Ricky Morton with an attendance of 425. February 15, 2006: Ricky Morton was released from jail for nonpayment of child support after many months serving time. February 17, 2006 – New Generation Wrestling: The RockNRoll Express (Morton/Gibson) beat The Midnight Express (Condrey/Eaton). February 18, 2006 – New Generation Wrestling: The RockNRoll Express (Morton/Gibson) defeated Tom Prichard and Terry Taylor. February 24, 2006 – New Generation Wrestling: Ricky Morton defeated Chase Stevens. February 25, 2006 – Omni Pro Wrestling: Ricky Morton and Aaron Armor defeated Dexter Hardaway and Kenny Campbell. February 25, 2006 – CWA: Ricky Morton and John Thornhill defeated George South Sr. and Shane Matthews. February 26, 2006 – Omni Pro Wrestling: Ricky Morton teamed with Aaron Armor for the Rock’n’Roll Cup Tag Tournament. ~~~Morton/Armor beat Dexter Hardaway and Kenny Campbell (1st Round) | beat John Zorthos and Bernie Donderwitz (2nd). ~~~Ricky Morton and Aaron Armor defeated Bret Thunder and Skitzo in the Tournament Final for the 2006 Rock’n’Roll Cup! March 4, 2006 – Southern Championship Wrestling: Ricky Morton defeated Demolition Ax by disqualification. March 10, 2006 – World 1 Wrestling: Ricky Morton and The Nightmare defeated Cru Jones and Chad Barfield. March 11, 2006 – Pro Wrestling World 1 (Tag Tournament): Ricky Morton and Nightmare defeated Dillon Eaton and Jake Slater. ~~~~~~~~~~~~Tully Blanchard and Glacier defeated Ricky Morton and Nightmare (The Midnight Express won the Tournament). March 25, 2006 – ACPW: ECBH and Dennis Condrey defeated Ricky Morton and Bad Company. April 5, 2006 – USA Championship Wrestling: Ricky Morton defeated Tracy Smothers. April 7, 2006 – Birchfield Promotions: Ricky Morton defeated Morbid by disqualification. May 6, 2006 – NCWA: Ricky Morton defeated Demolition Ax. June 2, 2006 – NWA Wrestle Birmingham: Ricky Morton defeated “Mr. Motivation” Jimmy Powell by DQ. June 9, 2006 – NWA Wrestle Birmingham: Ricky Morton defeated Jimmy Powell. June 18, 2006 – Mid South Wrestling: Ricky Morton defeated Doink the Clown. July 1, 2006 – Pro Wrestling World 1: The Heartbreak Express beat The RockNRoll Express to retain the AWA W-1 Tag Team titles. July 14, 2006 – NWA Wrestle Birmingham: The Bullet (Bob Armstrong, replacing no-show Ricky Morton) beat Jimmy Powell. July 21, 2006 – Mason Dixon Wrestling: “RockNRoll” Ricky Morton defeated “Beautiful” Bobby Eaton. July 22, 2006 – Mad-Pro Wrestling: “Fantastic” Bobby Fulton beat “RockNRoll” Ricky Morton in an Old School Grudge match. August 12, 2006 – AWA Supreme: The RockNRoll Express (Ricky and Todd Morton) vs Roger Blade and Eric Draven was a No Contest. August 17, 2006 – UWA: Ricky Morton and Dillinger defeated Dr. Tom Prichard and Jeff Anderson. August 24, 2006 – Championship Wrestling Association: Ricky Morton and Brian Compton defeated Shane Matthews and Chris Vega. August 31, 2006 – UWA: Tom Prichard and Jeff Anderson defeated Ricky Morton and Dillinger by DQ. September 9, 2006 – Appalachian Wrestling Federation: Ricky Morton and Brad Thomas beat Shawn Christopher and Billy Maverick. September 21, 2006 – Championship Wrestling: “RockNRoll” Ricky Morton defeated “Beautiful” Bobby Eaton. September 30, 2006 – Liberty States Wrestling: The Rock’n’Roll Express defeated The Midnight Express. October 7, 2006 – WCWA: Ricky Morton and Demolition Ax defeated Demolition 6000. October 26, 2006 – United Wrestling Association: Mr. Tennessee (Ricky Morton) beat Dr. Tom Prichard in a Cage match. November 16, 2006 – UWA: Dr. Tom Prichard and Jeff Anderson defeated Mr. Tennessee (Ricky Morton) and Shane Williams. November 20, 2006 – Exodus Wrestling: Ricky Morton defeated Bobby Eaton with Tommy Young as referee. November 30, 2006 – UWA: Jeff Anderson defeated Mr. Tennessee (Ricky Morton). December 1, 2006 – Carolina Wrestling Alliance: Ricky Morton defeated George South Sr..
December 21, 2006 – UWA: Mr. Tennessee defeated Dr. Tom Prichard to get Ricky Morton reinstated for the 12/28 show. December 25, 2006 – SSW: Ricky Morton defeated Bobby Eaton in a Bullwire match with Jimmy Valiant as referee. February 3, 2007 – Alternative Championship Wrestling: Ricky Morton defeated George South Jr..
February 10, 2007 – Legends Show: Ricky Morton defeated “Beautiful” Bobby Eaton. February 15, 2007 – UWA: Jake Roberts and Ricky Morton and Robbie Race defeated Jeff Anderson and Heat Seekers V2. February 17, 2007 – Extreme Wrestling Federation: Ricky Morton and Wildman Rogers beat Richard Cannon and Louis Linaris. March 9, 2007 – AWA World 1 South: Ricky Morton defeated Tully Blanchard by disqualification. March 10, 2007 – AWA World 1 South: Jake Roberts/Ricky Morton/Glacier beat Tully Blanchard/Ricky Landell/The Nightmare. March 18, 2007 – ICW: Ricky Morton and Val Joiner defeated Bobby Eaton and Randall Shane. March 24, 2007 – American Pro Wrestling: Bobby Eaton and Romeo defeated Ricky Morton and Brad Thomas. March 25, 2007 – Dory Funk’s BANG: Johnny Magnum vs. Robert Gibson ended in a 20-minute draw. April 5, 2007 – West Virginia Mountaineer Wrestling: Tracy Smothers and Worm defeated Don Bass and Ricky Morton. April 27, 2007 – Memphis Wrestling: Ricky Morton and Kid Kash defeated 2 Cool II to win the Southern Tag Team titles. May 5, 2007 – Mid Atlantic Championship Wrestling: Ricky Morton defeated Rick Steiner by DQ. May 13, 2007 – Mid-South Wrestling Alliance: Ricky Morton defeated Doink the Clown. May 15, 2007 – All-Star Championship Wrestling: Ricky Morton and Brad Thomas defeated Bobby Eaton and The Arsenal. May 19, 2007 – Absolute Intense Wrestling: Ricky Morton defeated Mike Krease. May 25, 2007 – IWA Mid South: Axl Rotten and Mickie Knuckles defeated Ricky Morton and Z-Barr in a 1st Round match. May 26, 2007 – IWA Mid South: Ricky Morton defeated Z-Barr to make Z-Barr eat dog food. June 2, 2007 – West Carolina Championship Wrestling: The Rock-N-Roll Express w/Baby Doll beat The Midnight Express. June 3, 2007 – United Wrestling Association: Ricky Morton defeated “Beautiful” Bobby Eaton. June 9, 2007 – Hoosier Pro Wrestling: Ricky Morton and Troy Van Zant defeated Sinn and Brian Beech and Bobby Black. June 30, 2007 – AWA-Supreme: The Rock’n’Roll Express (Ricky and Todd Morton) beat Big and Tasty to win the Tag Team titles. July 4, 2007 – Ultimate Championship Wrestling: UCW Heavyweight Champion Jeff Crowe defeated Ricky Morton. July 17, 2007 – All-Star Championship Wrestling: Ricky Morton defeated Bobby Eaton. July 22, 2007 – IWA Mid South: Ricky Morton defeated Tracy Smothers. August 4, 2007 – Appalachian Wrestling Federation: Shawn Christopher defeated Ricky Morton to retain the AWF Title. November 17, 2007 – -NWA Mid-Atlantic: Rikki Nelson vs. Ricky Morton went six minutes before Nelson walked out. ~~~MATCH: Ricky Morton and Chris Hamrick defeated Rikki Nelson and Bobby Eaton in a tag team main event. January 26, 2008 – Mid-Atlantic Championship Wrestling: “Rock’n’Roller” Ricky Morton defeated Andrue Bane. January 27, 2008 – Southern Extreme Championship Wrestling: Ricky Morton and Brad Armstrong beat Will Owens and Sal Rinauro. March 15, 2008 – Mid Atlantic Championship Wrestling: Bobby Eaton defeated Ricky Morton. April 3, 2008 – SECW: Ricky Morton and the Nightmare defeated Bobby Eaton and the Super Destroyer. April 4, 2008 – NAWA Ring Champions: Bobby Eaton vs. Ricky Morton ended in a No Contest due to interference. ~~~The Exotic Ones (Rick Michaels and Simon Sermon) defeated Bobby Eaton and Ricky Morton in a tag team match. May 16, 2008 – Mid-Atlantic Championship Wrestling: The Barbarian defeated Ricky Morton. May 25, 2008 – NAWA Ring Champions: Ricky Morton defeated Jason Valentinea. June 22, 2008 – New Elite Wrestling: King Kaluha w/Jonathan Luvstruk beat Ricky Morton w/Lily by DQ in a NCW title match. July 3, 2008 – NAWA Ring Champions: Ricky Morton and Chris Ganz defeated Bobby Eaton and Air Paris. September 5, 2008 – Prime Time Pro Wrestling: The Rock’n’Roll Express defeated Simon Sermon and Thomas Britain. September 20, 2008 – Rome Georgia Wrestling: Bobby Eaton defeated Ricky Morton after interference by Mr. Hughes. October 11, 2008 – Championsship Wrestling: Ricky Morton defeated the Jin. November 1, 2008 – NAWA Ring Champions: The Rock’n’Roll Express beat The Exotic Ones (Rick Michaels and Simon Sermon). November 29, 2008 – United Wrestling Alliance: Daredevil defeated Ricky Morton. April 10, 2010 – Mid Atlantic Championship Wrestling: Ricky Morton and Robert Gibson defeated Buff Bagwell and Rikki Nelson. January 4, 2014 – NWA Smoky Mountain: Ricky Morton defeated Chase Owens to win the NWA World Jr. Heavyweight Championship. July 24, 2014 – EPW: EPW Elite champion Reed Bentley defeated Ricky Morton to retain the title. November 15, 2014 – NWA Smoky Mountain: NWA United States tag team champions Ricky Morton and Gavin Daring defeated Elliot Russell and Sigmon to retain the titles. November 22, 2014 – PGP: Ricky Morton defeated Blake Steel. December 27, 2014 – NWA Smoky Mountain: Ricky Morton and Wayne Adkins defeated Michael Starr and O-Dog. 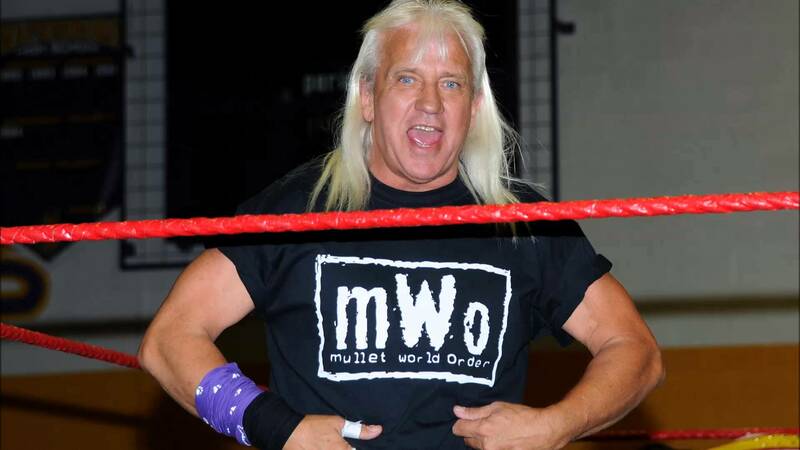 February 12, 2015 – NWA Smoky Mountain: Ricky Morton defeated Mikey Dugger. June 12, 2015 – NWA Smoky Mountain: Shawn Shultz defeated Ricky Morton. August 8, 2015 – NWA Smoky Mountain: Maverick defeated Ricky Morton. September 26, 2015 – NWA Top of Texas: Phoenix and Ricky Morton defeated Chad Thomas and Jason Erra to win the tag team titles. October 3, 2015 – NWA Smoky Mountain: Bryan Montgomery and Jeff Connelly defeated Kid Kash and Ricky Morton. October 17, 2015 – NWA Smoky Mountain: Ricky Morton defeated Kid Kash. October 24, 2015 – All Star Tribute to Lance Russell: The Rock ‘n’ Roll Express (Ricky Morton & Robert Gibson) defeat Naughty By Nature (Pokerface & Rude). November 20, 2015 – BTW: The Rock ‘n’ Roll Express (Ricky Morton & Robert Gibson) defeated The ExerGuys (JP & M3). November 21, 2015 – BTW: The Rock ‘n’ Roll Express (Ricky Morton & Robert Gibson) defeated Bam Shaw & George South. January 30, 2016 – MACW: The Rock ‘n’ Roll Express (Ricky Morton & Robert Gibson) defeated The Heatseekers (Elliot Russell & Sigmon) to win the tag team titles. February 20, 2016 – WrestleMerica: The Rock ‘n’ Roll Express (Ricky Morton & Robert Gibson) defeated Southside Trash (Razor & Rowdy). February 26-27, 2016 – BTW: The Rock ‘n’ Roll Express (Ricky Morton & Robert Gibson) defeated The Powers Of Pain (The Barbarian & The Warlord) in a Texas Tornado steel cage tag team match. March 26, 2016 – BTW: The Rock ‘n’ Roll Express (Ricky Morton & Robert Gibson) defeated The Powers Of Pain (The Barbarian & The Warlord) in a steel cage match. April 16, 2016 – WrestleMerica: The Rock ‘n’ Roll Express (Ricky Morton & Robert Gibson) defeated The Barbarian & The Warlord in a steel cage match. April 30, 2016 – BTW: The Rock ‘n’ Roll Express (Ricky Morton & Robert Gibson) defeated George South & Jake Manning. May 28, 2016 – DCW: Ricky Morton defeated RC Luv’n & RD Luv’n in a handicap match. June 18, 2016 – BWF: Ricky Morton defeated Jimi Love. July 16, 2016 – IWR: The Rock ‘n’ Roll Express (Ricky Morton & Robert Gibson) defeated Lance Hoyt & Moonshine Mantell. July 30, 2016 – MVW: Dave Dawson & Zane Dawson vs. The Rock ‘n’ Roll Express (Ricky Morton & Robert Gibson) ended in a no contest. August 4, 2016 – BCW: The Rock ‘n’ Roll Express (Ricky Morton & Robert Gibson) defeated Colby Corino & Steve Corino. August 6, 2016 – NWA Mid-Atlantic: Kerry Morton & Ricky Morton defeated Bobby Fulton, Fargo Fulton & Jarron Fulton in a handicap match. August 27, 2016 – AAPW: The Faces Of Fear (Meng [Replacement for The Warlord] & The Barbarian), Beastman & Turkana Death Warrior defeated The Rock ‘n’ Roll Express (Ricky Morton & Robert Gibson) & New Tradition (Chase Stevens & Damon Divine) in a 4-way tag team match to retain the tag titles. October 1, 2016 – BWF: Ricky Morton defeated Dustin Daniels. October 23, 2016 – DCW: The Rock ‘n’ Roll Express (Ricky Morton & Robert Gibson) defeated Drago & The Barbarian. October 28, 2016 – PWF: Steve Corino defeated Ricky Morton to win the vacant Mid-Atlantic Masters title. October 29, 2016 – MVW: Ricky Morton defeated Mecha Mercenary. December 15, 2016 – TNA IMPACT: The Broken Hardys (Brother Nero & Matt Hardy) defeated The Helms Dynasty (Andrew Everett & Trevor Lee) and The Bravado Brothers (Harlem Bravado & Lancelot Bravado) and The Rock ‘n’ Roll Express (Ricky Morton & Robert Gibson) and Decay (Abyss & Crazzy Steve) and Rockstar Spud & Swoggle and The Death Crew Council (??? & James Storm) and The Bruiserweights (Corey Hollis & John Skyler) and The Ugly Ducklings (Lance Lude & Rob Killjoy) and Aaron Biggs & Mecha Mercenary and Arik Royal & Mike Jordan and Dirty Daddy & Snooty Foxx to retain the TNA world tag team titles in a Tag Team Apocalypto. November 26, 2016 – WrestleCade: Ricky Morton was in the 3rd Annual George South Battle Royal won by George South. January 20, 2017 – PWF: The Extreme Horsemen (CW Anderson, John Skyler & Preston Quinn) defeated James Drake, Ricky Morton & Zane Dawson. February 10-11, 2017 – BTW: Matt Hardy defeated Ricky Morton in a final deletion match. May 20, 2017 – PCW: AC Mack & Ashton Starr defeated Ricky Morton & Simon Sermon. July 14, 2017 – MCW: The Rock ‘n’ Roll Express (Ricky Morton & Robert Gibson) defeated The Appalachian Outlaws (Bo Nekoda & Hoss Hagood). August 12, 2017 – HOH 33: The Rock ‘n’ Roll Express (Ricky Morton & Robert Gibson) & Bully Ray defeated The Spirit Squad (?? ?, Kenny & Mikey). August 26, 2017 – TRUE Wrestling: The Rock ‘n’ Roll Express (Ricky Morton & Robert Gibson) defeated Absolutely Stunning (Mark Hartt & Tommy Hartt). September 30, 2017 – WrestleMerica: Dennis Gale & Steve Lawler vs. The Rock ‘n’ Roll Express (Ricky Morton & Robert Gibson) ended in a double count-out. November 11, 2017 – CKCW: Team Puerto Rico (BJ & Hiram Tua) defeated Team Storm (Jack Pollock & Jaxon Argos) and The Rock ‘n’ Roll Express (Ricky Morton & Robert Gibson) in a 3-way tag team match. November 12, 2017 – BCW: Ricky Morton defeated Matt Houston. December 9, 2017 – VPW: The Rock ‘n’ Roll Express (Ricky Morton & Robert Gibson) defeated The Monster Squad (Billy Brash & Joshua Cutshall) to win the tag team titles. March 24, 2018 – NCWA: Chase Stevens and Ricky Morton defeated Dee Mack and Mr. Hughes in the 1st round. Chase Stevens and Ricky Morton defeated The Heatseekers (Elliot Russell and Sigmon) to win the 10th Annual Ivan Koloff tag team tournament. Outside the Ring: In late October 2005 Ricky Morton was arrested by Sullivan County (Bristol, TN) deputies for back child support payments. The total amount was estimated to be $73,000. Fans, family members and fellow wrestlers hosted two events in order to raise funds for legal bills and support payments. Morton was released in February 2006 after it was determined that Morton was scheduled for wrestling events and would be able to contribute to the debt. Morton argued that his child support payments were set during his heyday as a member of the Rock N Roll Express when he earned a six figure income. His earnings ability had greatly diminished over the past decade and he was forced to tour the Indy circuit. In September 2007, while camping with his children at a Tennessee park, Morton was rearrested on the same charges. It was estimated he owed a remaining balance of $63,000. A website was established RickyMorton.net and was able to raise enough funds to secure his bail.